Cottonwood, Arizona to/from Phoenix Sky Harbor International Airport (PHX). Great Flat Rates! More often than not, our town car flat rate fares to and from Cottonwood and the Phoenix Airport (PHX) are less than taxis charge for the same service. So, why travel in a taxi when you can travel to the airport in style and comfort in any one of our luxury vehicles. >> VIEW OUR RATES. A Luxurious Vehicle Fleet. Whether you are a single executive, traveling couple or a large group, Roadrunner has the right vehicle for you. Depending on the amount of passengers, Roadrunner Limousine’s fleet includes town cars, limousines, SUV’s, passenger vans and even 30+ passenger coaches. All our vehicles are clean, comfortable, private late model luxury vehicles equipped with GPS Navigation systems. 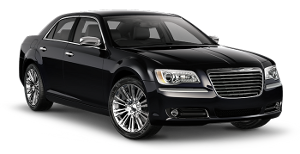 So, why take a bumpy taxi from Cottonwood to PHX when a luxury vehicle is available at Roadrunner Limousine? Roadrunner Limousine, serving Cottonwood and Phoenix, Arizona, provides exceptional service for its executive clients. Our executive guests expect reliable, convenient and comfortable transportation to or from Cottonwood and the Phoenix Sky Harbor International Airport. As important as it is to provide our executive passenger with optimum service, working effectively with their executive assistants and travel coordinators makes everyone’s job easier. For them, we have a state-of-the-art online booking and account monitoring system accompanied by a highly trained staff to help develop and execute the most sophisticated travel plans that any busy executive or corporate group might need. First Time Coming to Cottonwood, Arizona – Did You Know? As with other communities in the Verde Valley, the City shares a rich and lengthy history. The region has long been home to Native Americans, particularly the Sinaugua and later the Yavapai and Apache. The first Anglo settlers in the area farmed and provided goods for the soldiers at Camp Verde and for the miners in Jerome beginning in the late 1870’s. William Clark and Jimmy Douglas developed major smelters and the mining communities of Clarkdale (1912) and Clemenceau (1917), respectively. Clemenceau, located near the intersection of Willard Street and Mingus Avenue was a complete company town with thousands of residents, a school and other community facilities. Today, few people recognize the size and complexity of the original “Smelter City”. During this period, mining companies that closely regulated commerce, industry, employment and even housing opportunities administered Jerome, Clarkdale and Clemenceau. Old Town Cottonwood became a haven for those seeking to be free from the prejudice and regulation of nearby company towns. Main Street was created 1908 when Charles Stemmer and Alonzo Mason used a mule team to pull and drag through brush. The Mason Addition, Willard Addition, Hopkins Ranch No. 2 and other tracts were platted during the next decade coinciding with the development of Clemenceau on higher ground about one mile to the south. The Clemenceau smelter closed on December 31, 1936 with a great loss of jobs and disruption to the area’s economy. The Cottonwood Women’s Club organized to feed those in need and raised money to build the Cottonwood Civic Center (1939) with labor provided through the Works Progress Administration. The copper industry continued its decline culminating with the closure of the Phelps Dodge operation in the 1950’s. Population plummeted in the region as the mining industry declined. Jerome’s population declined from about 8,000 to nearly 0, while Clarkdale went from nearly 4,000 to several hundred. The City of Cottonwood incorporated in 1960. During this period area roads were improved , particularly the Highway 89A “Bypass” and SR 260 to serve the needs of the Phoenix Cement Plant located in Clarkdale. This facility supplied the cement for the Glen Canyon Dam project near Page. During the early 1970’s about 4,500 lots were platted outside the Cottonwood City Limits by Ned Warren – the Queen Creek Land & Cattle Company. These lots, known as Verde Village, have limited infrastructure but have been built upon over time and few vacant parcels remain today. With road development and an increasingly large residential base, commercial development moved south from Old Town to SR89A intersections at Main Street and at SR260 during the 1970’s and 1980’s. In 1990 the City constructed a wastewater treatment plant and collection system, the first in the Verde Valley. This plant was expanded in the 1990’s to treat 1.5 million gallons per day and allow discharge of reclaimed water into Del Monte Wash. The availability of a modern sanitary sewer system has assisted the City to attract and accommodate growth. Since 2001 the City has pursued the acquisition of the private water companies serving the area and with those acquisitions the City of Cottonwood has become a full service municipality. Cottonwood has experienced a major expansion of the Verde Valley Medical Center, development of new residential projects such as Cottonwood Ranch and many commercial and office projects.